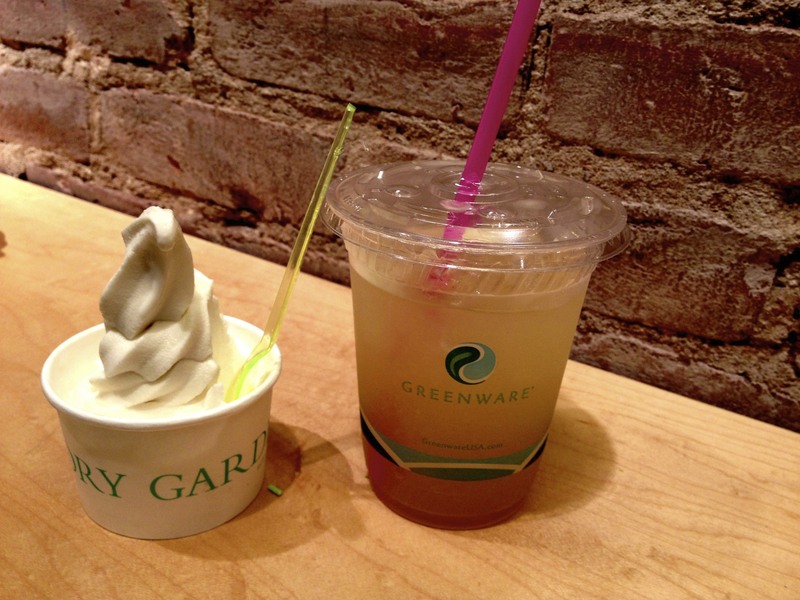 No time to apologize for my lack of posts about New York eats. I’m back and here to stay. If by now you don’t realize how much I love coffee and ice cream then you haven’t read my blog posts nearly enough. In the Hell’s Kitchen District on Forty-Seventh Street between Tenth and Ninth avenues is je & jo. 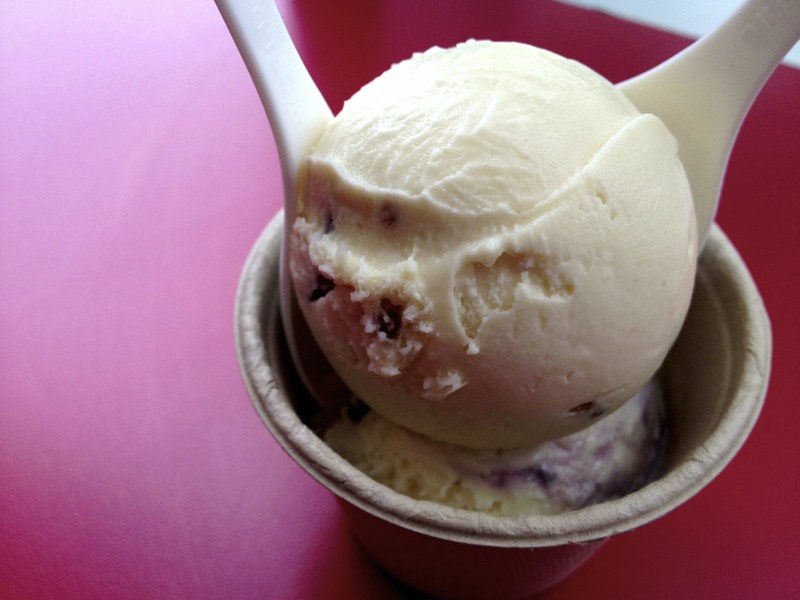 They offer all handmade artisan ice creams with as much conscious efforts to use local and organic ingredients. They even offer vegan and gluten free options. Yet je & jo is so much more than an ice cream café. 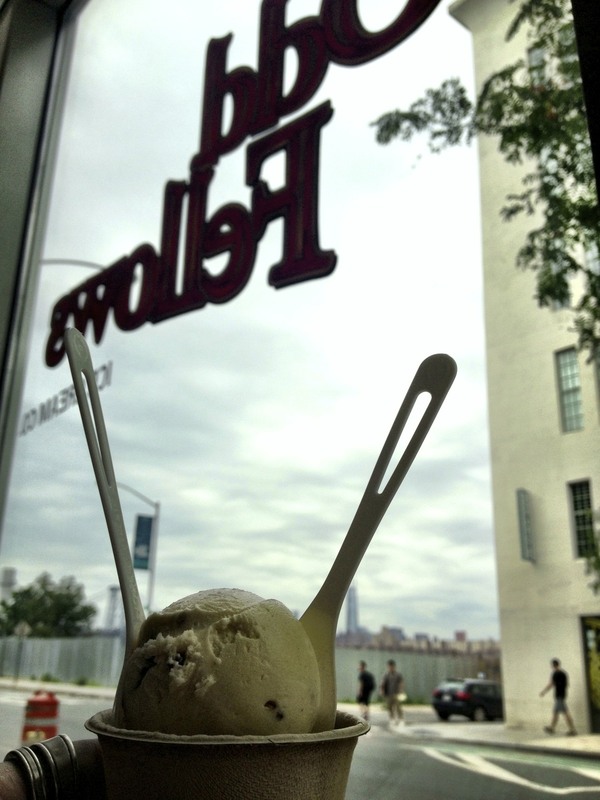 It made sense that on a rainy day I would get myself coffee, cookies and… ice cream? Yeah, so maybe I shouldn’t have chosen a frozen dessert on a cold day, but quite honestly I had no qualms with my decision once I dove into the creamy goodness. All the ice creams have bits of cookie dough inside of them. 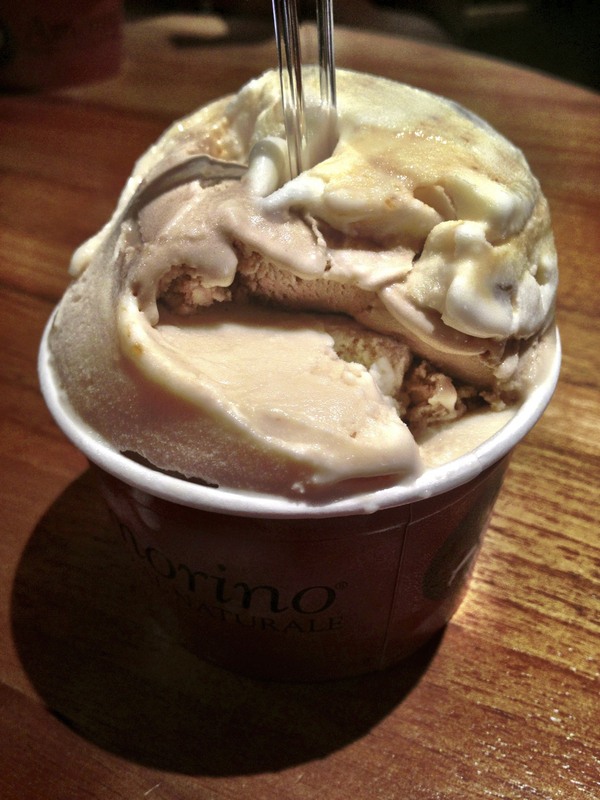 The above is a banana ice cream with peanut butter cookie dough; a match made in heaven. Consumer Tip: let the ice cream thaw out a little bit so the ice cream softens. Along with great ice cream, comes great coffee. 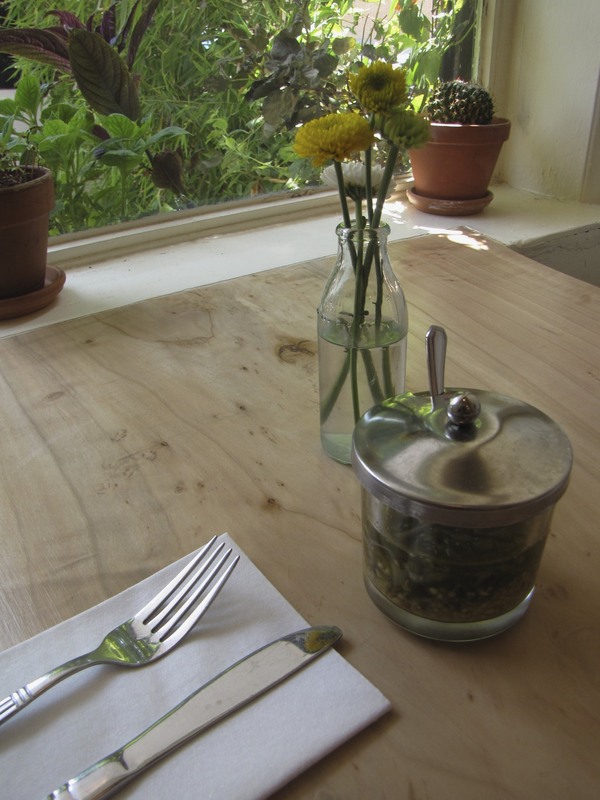 The wooden bar, placed in the front of the shoebox coffee shop, allows patrons to sit and enjoy food and beverages while looking out at the city street. I hung my umbrella on one of the metal rods connected to the bar-table and enjoyed my lunch break with the sound of rain pitter-pattering outside. I now present to you cookies that surpass anything I could ever make. I consider myself a very good baker. Normally, cookies don’t impress me much. However, I’ve never tasted paradise like this before. Seriously, when do you buy a cookie from a store and save it for later only to realize it has become dry? ALWAYS, AM I RIGHT? I saved these cookies an entire day later and the cookies were so moist I seriously thought they were melting on my tongue. The Salted Dark Chocolate cookie made me feel things I don’t think I’ll ever feel again. There, I said it. So, to wrap it all up, je & jo is an amazing gem hidden away along the Hudson River. It’s a must try if you’re ever taking a jaunt through Hell’s Kitchen, because clearly that’s where everyone “jaunts,” am I right? Hear ye, hear ye! Lovers of cuisine and a bargain rejoice! Restaurant Week is finally upon us. 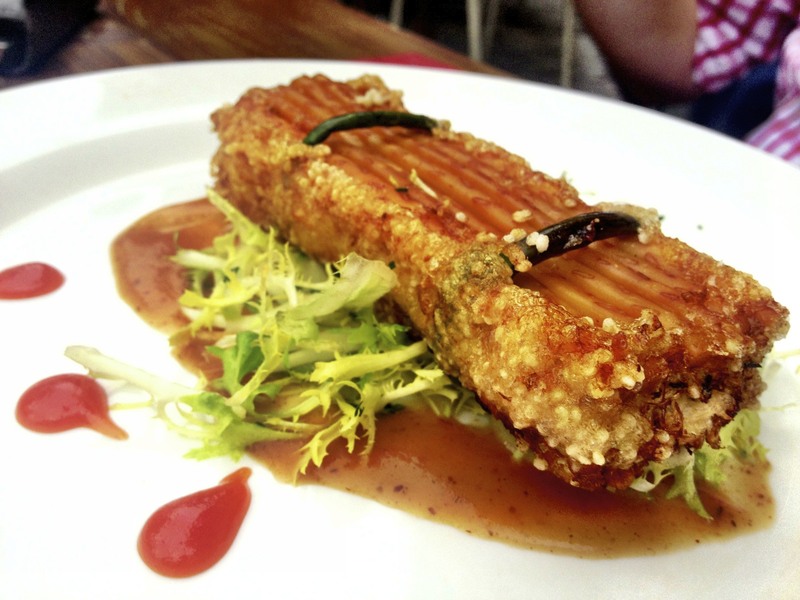 From July 22 until August 16, Restaurant Week will be in full bloom. For those of you who have never experienced Restaurant Week, I’ll tell you right now that you’re missing out. What you can expect from Restaurant Week is being able to dine out at some of the priciest restaurants in New York at a lower cost for three courses. Lunches are $25 and dinners are $38 at participating restaurants. 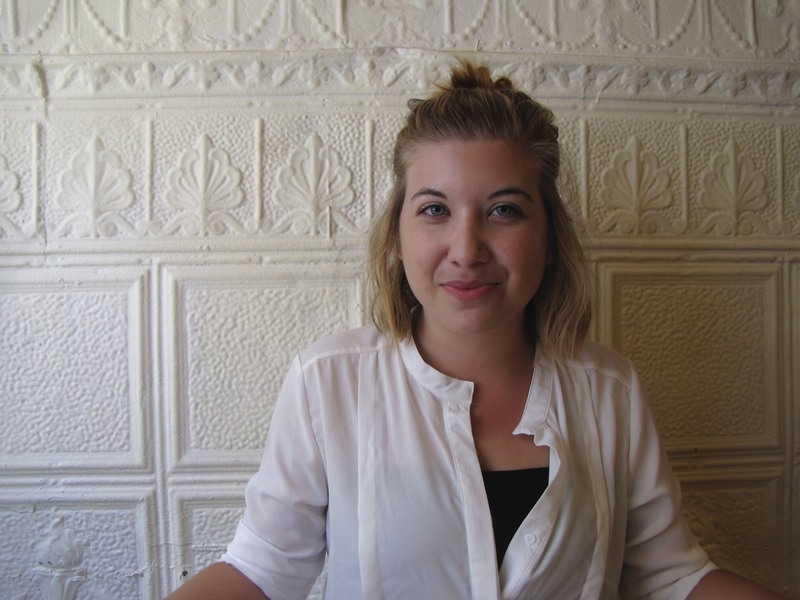 However, you may have to pay more depending on certain items on the menu or the addition of drinks. For instance, Norma’s at Le Parker Meridien allows you to order almost everything on the menu for the flat rates during Restaurant Week, except for items like their Zillion Dollar Lobster Frittata which is $100 for the regular one ounce caviar and $1000 for the super size ten ounce caviar. It would have been pretty rad to order something at a normal cost of $1000 for $25 though. Wishful thinking I guess. 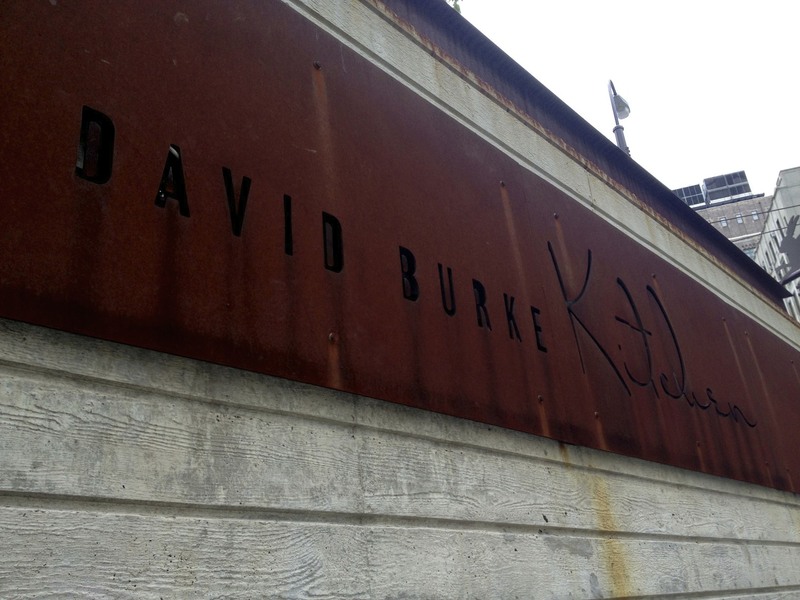 With Restaurant Week in full swing and my last days coming to a close in New York my friends took me to David Burke Kitchen which is located at The James Hotel in SoHo. David Burke Kitchen at The James Hotel in SoHo. Dining out to the tens always feels good but nothing feels better than finishing up all your hard work at the office, looking like you’re dressed for success and then waltzing through SoHo to meet your friends for a well deserved three course meal. Posh accents were maintained for about the first ten minutes before we fell back into our normal speech patterns and used words like “dope” and “stupid good” to describe the food that was being placed in front of us. Let’s jump on the dining roller coaster shall we? Full Plate View of the Asparagus & Burrata Salad. Let me describe the two appetizers that are shown above. 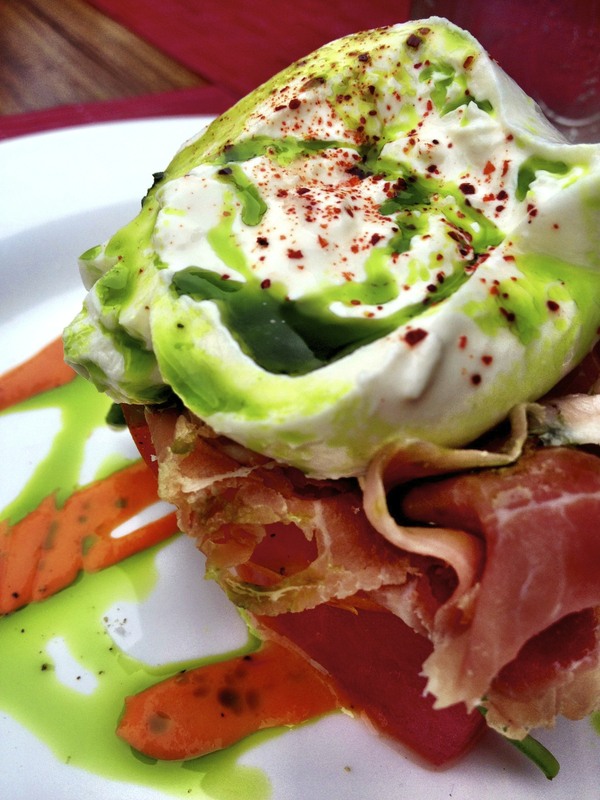 The Asparagus and Burrata Salad was ordered by myself and included a cut of watermelon topped with tomato, prosciutto, asparagus and burrata cheese with assorted sauces and spices. It was refreshing but filling, especially for an appetizer. The Pretzel Crusted Crab Cake was ordered by one of my friends who is obsessed with crab cakes and this was a winner in his book. In addition to obvious ingredients like the pretzels and crab meat there were also green beans, old bay applesauce and frisée. I ordered the Grilled Branzino, which is a type of European sea bass, however it looked and tasted like salmon and I’m almost positive it was salmon since branzino is a white fish but it was good no matter the species. 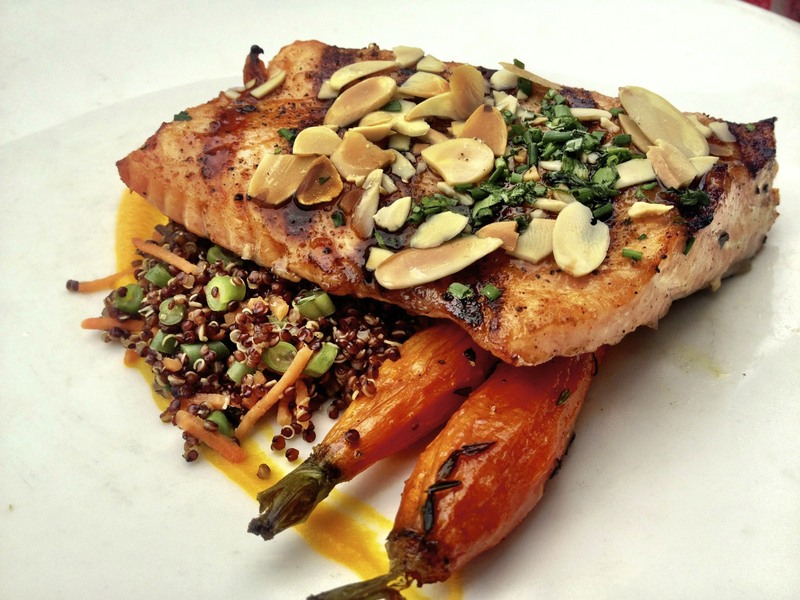 The fish was served over a bed of quinoa and roasted carrots, topped with almonds and a citrus glaze. 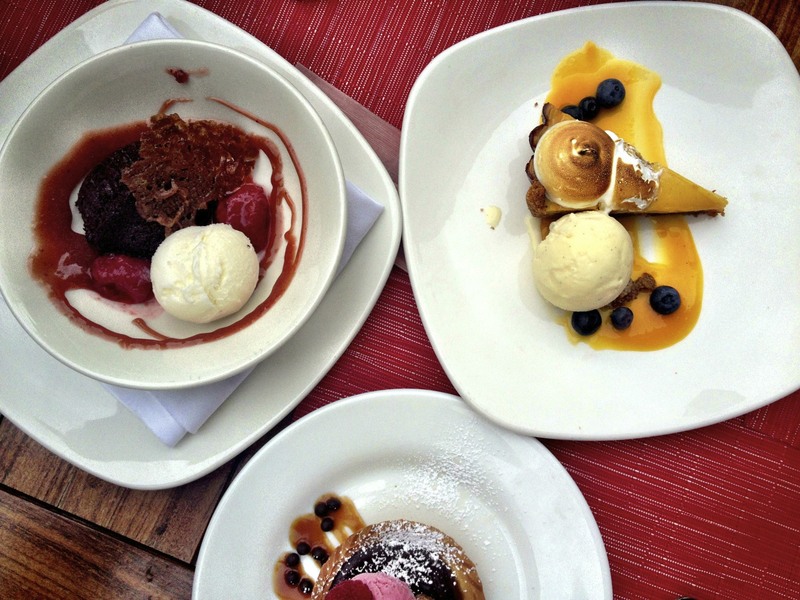 Three desserts that were equally delicious. 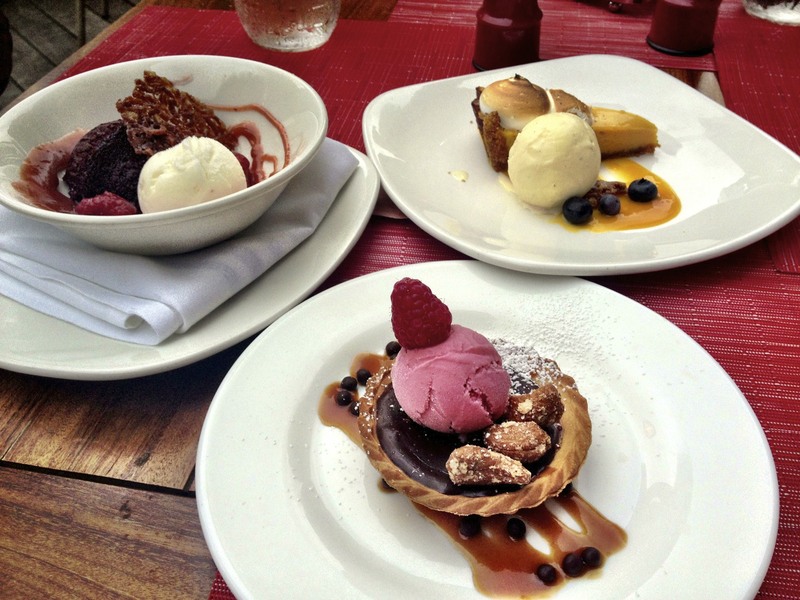 Top views of assorted desserts. 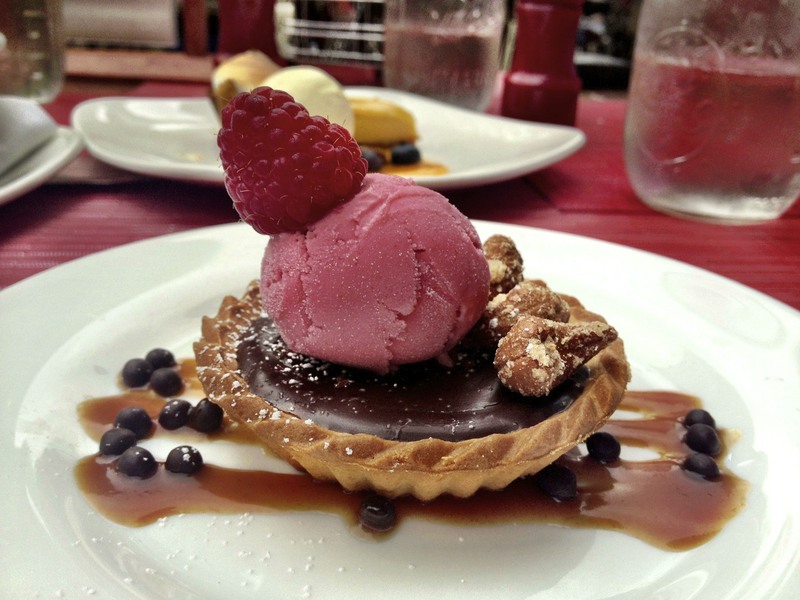 Raspberry Sherbet on a Chocolate Tart. Close up of my beloved dessert. 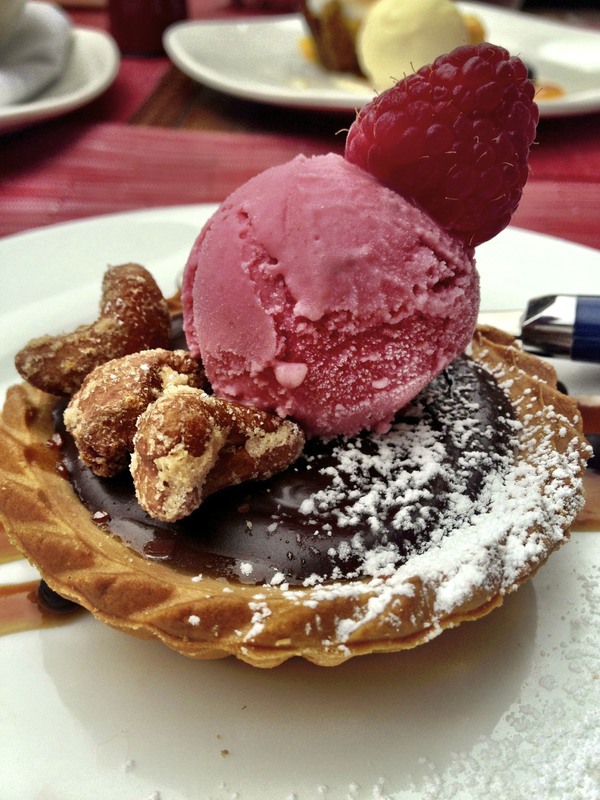 When it came to desserts, they all looked equally enticing. My two dining partners were in agreement that we all order different desserts and share. Of course we took bites of one another’s but found the most happiness in our own choices. We certainly know how to indulge. Going off of the top photo, the dessert in the top left corner was the Frozen Yogurt Sundae with red velvet cake and a strawberry compote with a side of frozen yogurt. The dessert in the top right was the Passion Fruit Meringue Pie with mango coulis and vanilla bean ice cream. The dessert on the bottom was the dessert I ordered which was the Smoked Caramel and Chocolate Tart with candied cashews and raspberry sherbet. Had I not dined during Restaurant Week and ordered all these same dishes I would have spent well over $50. Not only are you getting a deal but you’re getting specialized menus and dining around those who are just as eager to sink their teeth into delicacies they can finally appreciate. 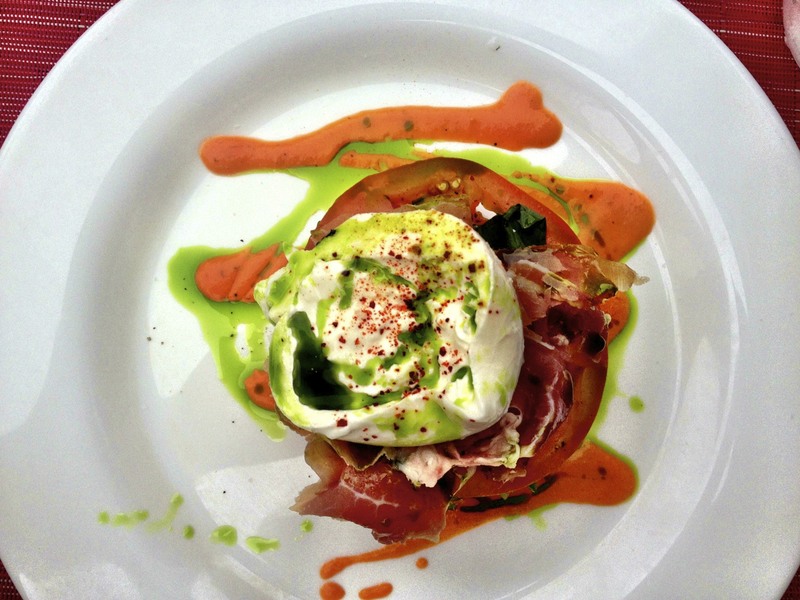 Dine during Restaurant Week while you still have the time. Grab some milk at the Milk Bar. Momofuku is most easily recognized as a group of restaurants differing in menus, design but are all highly regarded in the culinary world. 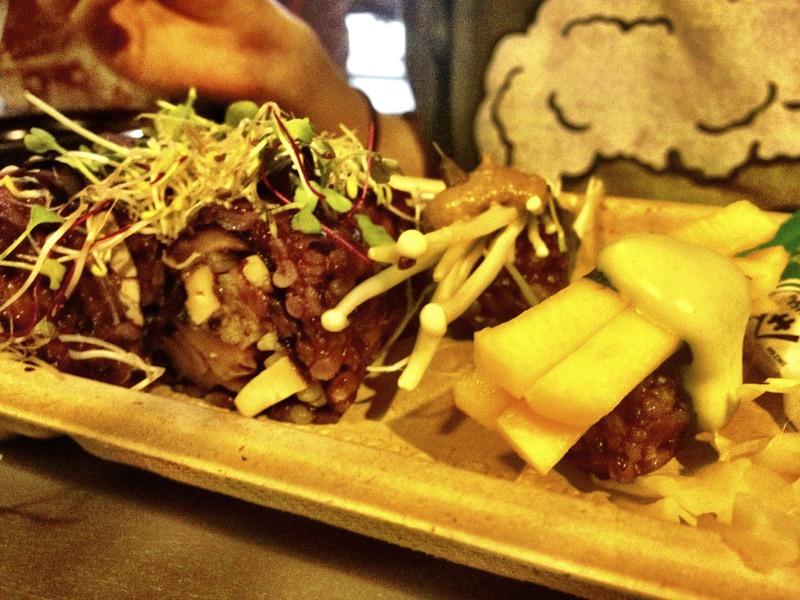 There are ten different restaurants but twelve in total, as Noodle Bar and Milk Bar are also situated in Toronto. 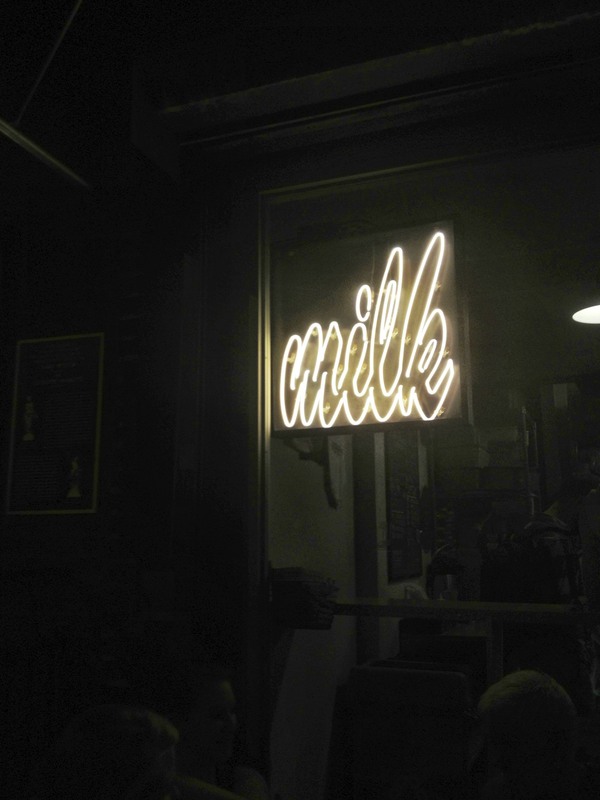 While the restaurants are known for many things such as, noodles, cookies and alcohol I went down to one of New York’s many Momofuku’s Milk Bar locations on Thirteenth Street between Third and Second avenues, to try a popular delicacy in the form of cereal milk. Yep, cereal milk. 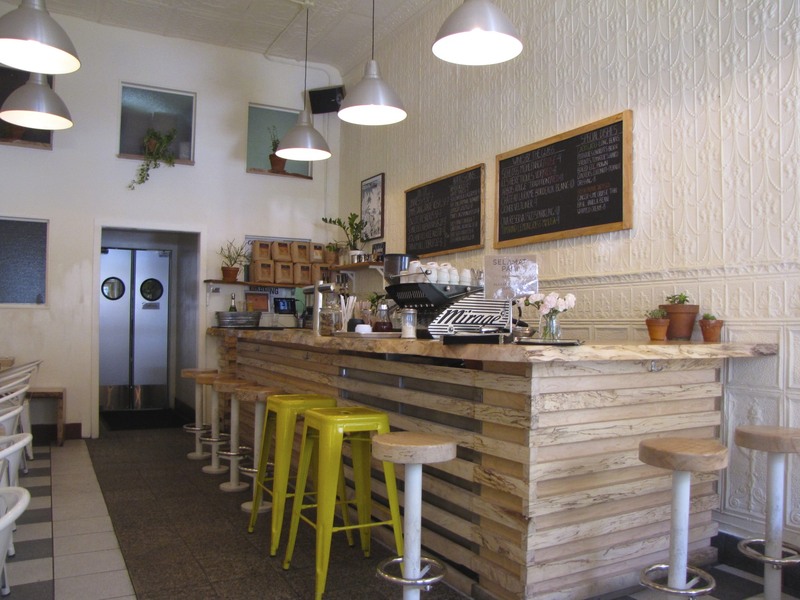 The milk you drink after you’ve eaten all the cereal is a popular flavor of milk and milkshakes served at the Milk Bar. Needless to say, it tasted exactly like cereal milk. It was cereal milk. 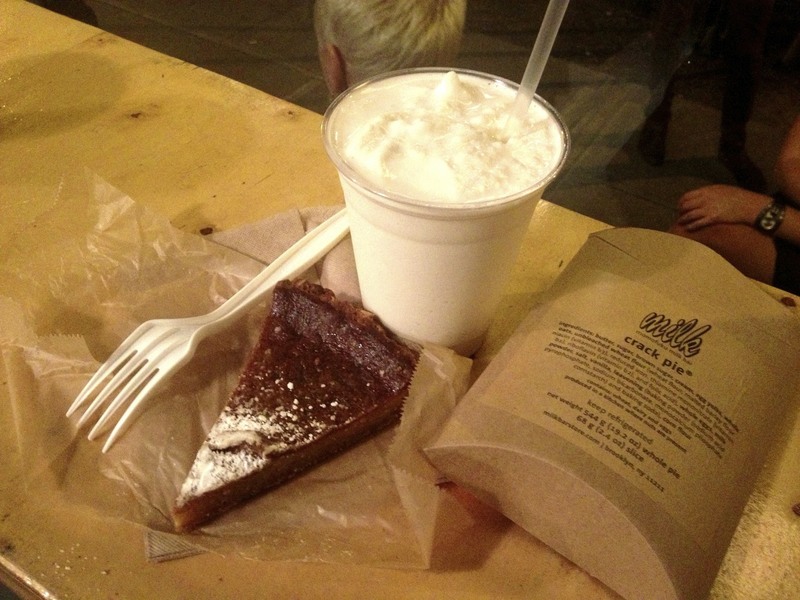 Cereal Milk, milkshake and a compost cookie from Momofuku’s Milk Bar. A popular cookie known as the Compost Cookie. 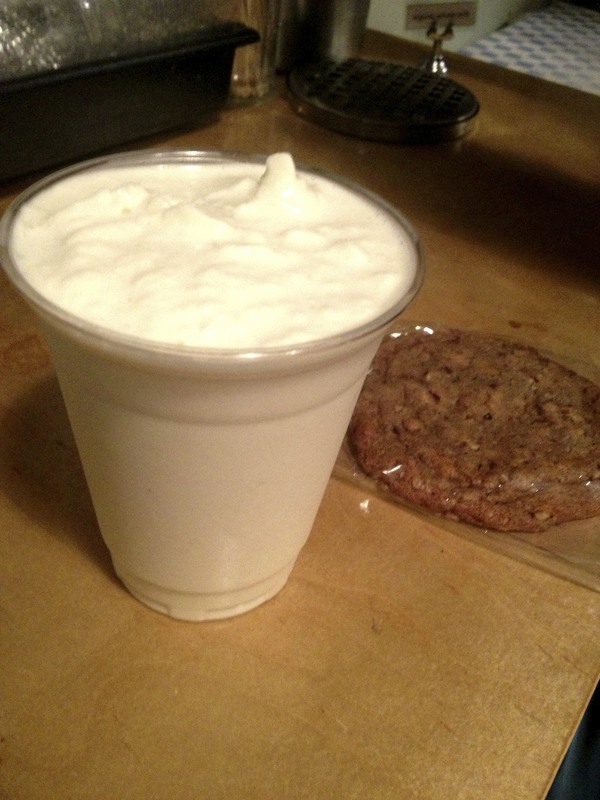 The shakes are made with soft serve mixed with organic whole milk . They get their milk from Trickling Springs Creamery which provides milk from local and family farms that treat their animals without the use of synthetic hormones. My shake was $6 and massive. Massive as in I actually puked after I drank it… but that was my own fault. I know it’s probably not kosher to talk about vomit while writing about food, especially good food, but these things happen. Again, I only puked because I ate way too much that night. I repeat, if you order the cereal milk milkshake you may not puke as I did. It all just depends on how much you consume. Drink responsibly. Cookies are $1.85 each or three for $5, six for $10 and so on. 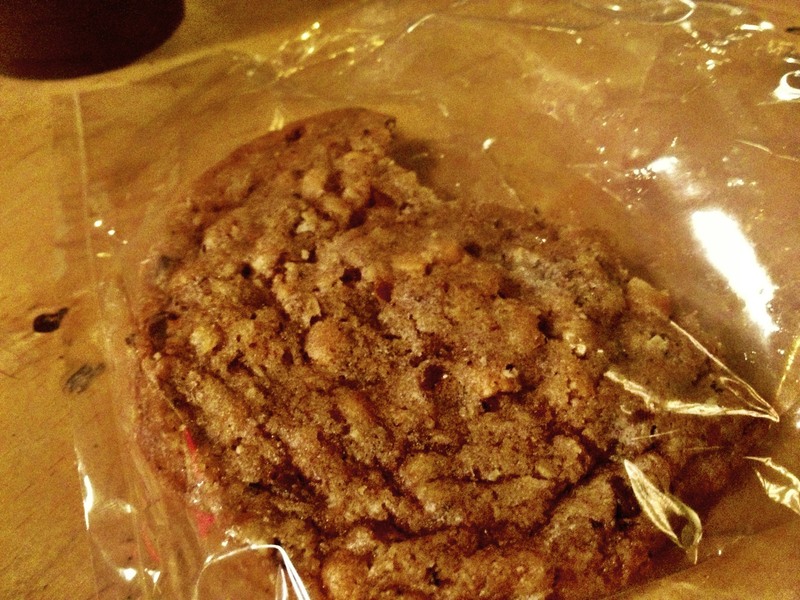 The compost cookie is a marvelous invention. It’s a cookie that is basically packed with everything. It contains chocolate chips, mini butterscotch chips, graham crust, rolled oats, ground coffee, potato chips, pretzels and the list goes on. When you get the occasional salty crunch from the potato chip mixed with the sweet tastes of butterscotch and chocolate you experience a magical balance of culinary expertise. 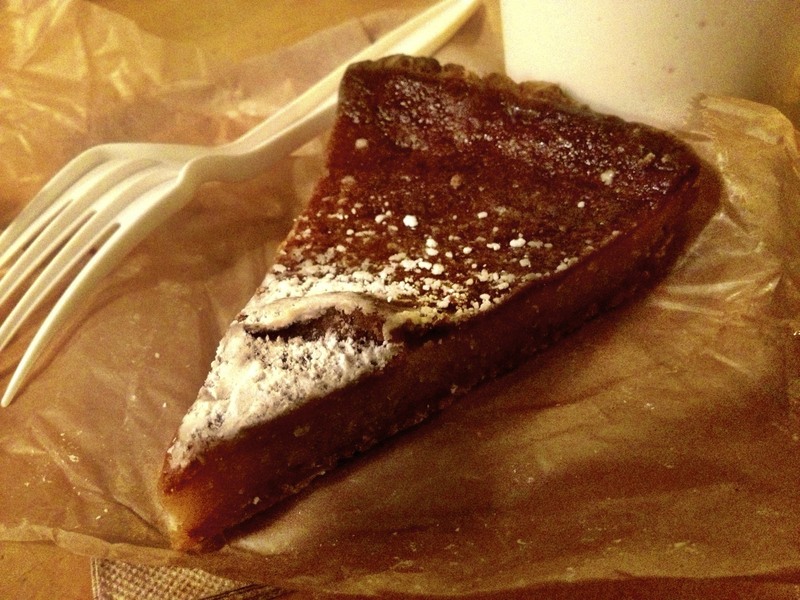 Another popular menu item called Crack Pie. Now let’s talk crack. I’m not talking about the hard drug, although this pie might as well be illegal. The amount of sugar and butter that goes into this piece of pie is far more than I should probably consume in a week but regardless of that information, I’d go back for a second slice. While in line the lady in front of me told me that one time she ordered five crack pies and ate them all in one sitting. “I stopped doing drugs a long time ago but I’m not sure this is any better for me,” the woman chuckled. 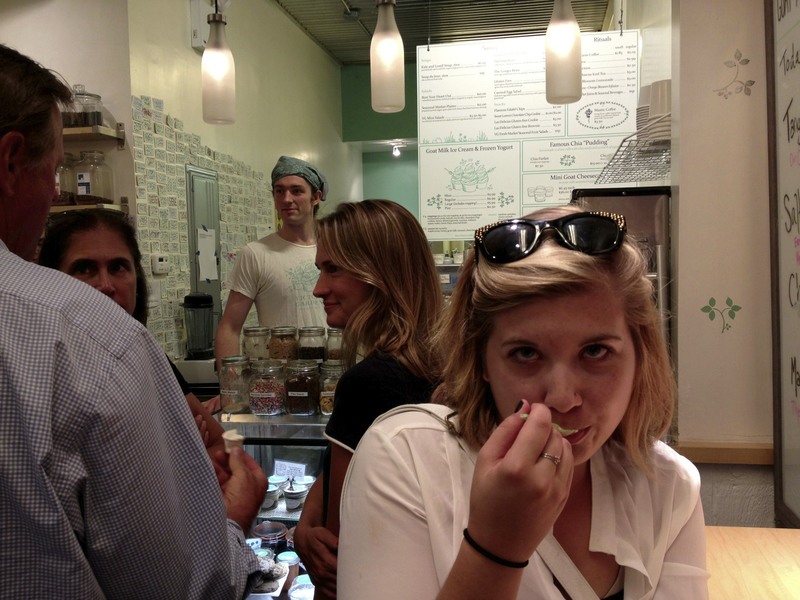 She went on to order a Pea-Nut soft serve made with peas and almonds, three birthday cake flavored cake truffles and a compost cookie. She was magnificent. The crack pie slices are $5.25 which is much less expensive than crack, I’m assuming. While the portion size is a little small for the price it makes up for quantity in quality. IMPORTANT DINING TIP: If I can impart any wisdom or advice for your dining experience at Milk Bar it would be this: don’t eat so much that you spew it all out. No, just kidding. Seriously though, I suggest that if you order the pies or cookies, you should wait and let them thaw out. They keep the baked goods stored in super cold temperatures and they firm up in the process. If you wait long enough to let them become soft you can experience much better flavors and textures. When I first took a bite of my crack pie I was not impressed but I saved it for later and when I took another bite I didn’t put the fork down. There are so many places to try at the Chelsea Market in Manhattan but I always try to get something unique no matter where I go. Fortunately, at Beyond Sushi, the whole menu is unique and unlike any sushi experience I’ve ever had. I often feel unsatisfied after I eat sushi and still crave something else at the end of the meal. At Beyond Sushi the food is so unlike your traditional sushi that I didn’t feel even an twinge of hunger after I devoured my plate. While Beyond Sushi has salads, soups, hand rolls and wraps I was only interested in the sushi rolls. There are three choices of combos all ranging in prices. I chose Combo 1: one roll consisting of eight pieces and your choice of two individual pieces. The total comes out to $7.50. A great deal when it comes to buying sushi in the city. 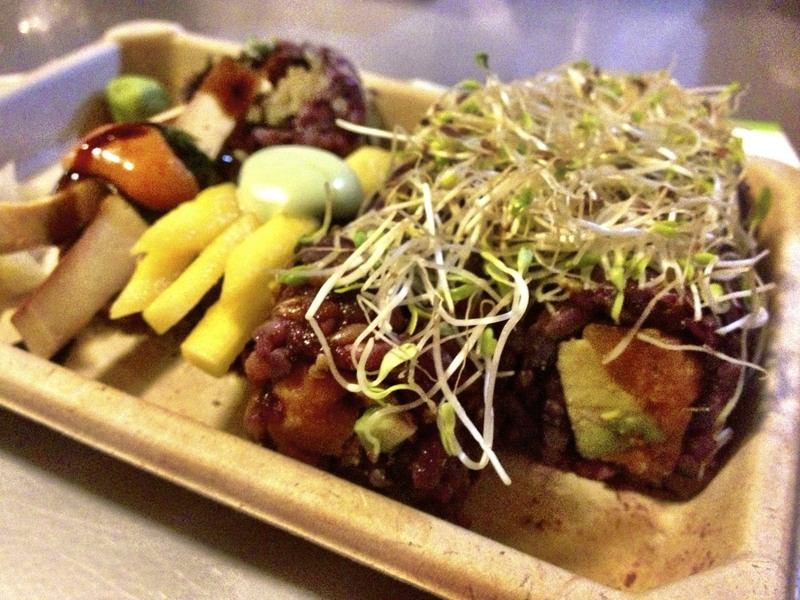 I ordered the Sweet tree roll which has avocado and sweet potato rolled into a six grain rice and topped with alfalfa sprouts. It comes with a toasted cayenne sauce and is completely gluten free. For my individual pieces I ordered the Baked Tofu with chili mango and Mango with jalapeño wasabi, both were also gluten free. My friend did the same thing as me except she got the Mighty Mushroom roll that has enoki, tofu, shiitake mushroom rolled in a six grain rice and topped with micro arugula. Sweet Tree Roll from Beyond Sushi. Mighty Mushroom Roll from Beyond Sushi. The colors are bright and the flavors are funky. I forgot to mention all the food is vegan. 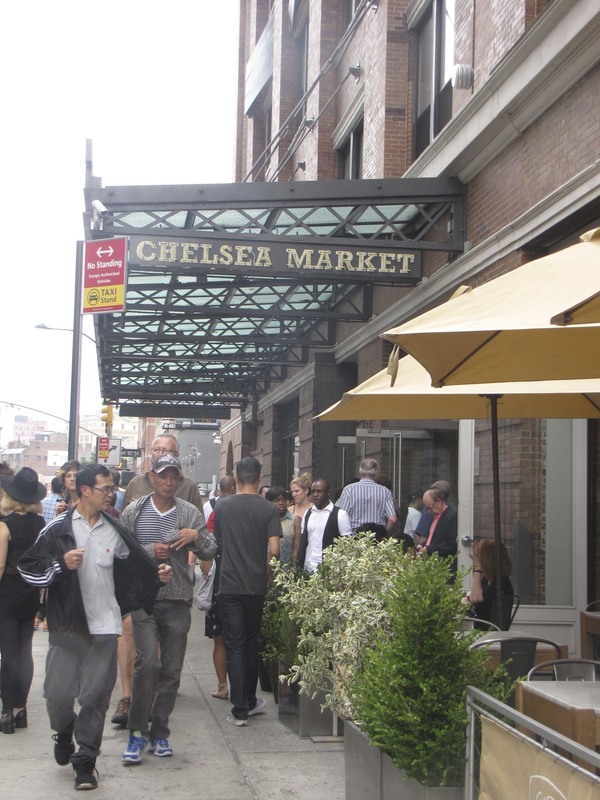 If you’re into healthy living then Beyond Sushi is the place to try at Chelsea Market. Having lived in Arizona and California for decent portions of my lifespan has allowed me to eat authentic Mexican food without ever visiting Mexico. 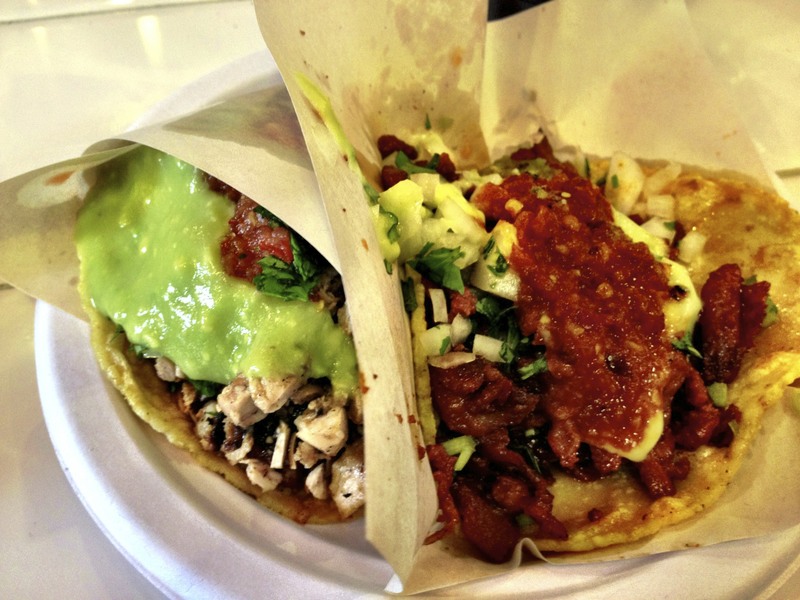 I never thought you could get better Mexican food once you start heading away from the border but these beauties pictured below were found in — you guessed it — New York. Los Tacos No. 1 has recently opened in Chelsea Market and is the work of three friends originating from Tijuana, Mexico and Brawley, California. Their mission was to bring true Mexican flavor to the east coast through real family recipes. As they boast to having the number one tacos in the title of their restaurant I figured I’d get one of each and see how they stood up to what I’ve had from back on the west coast. 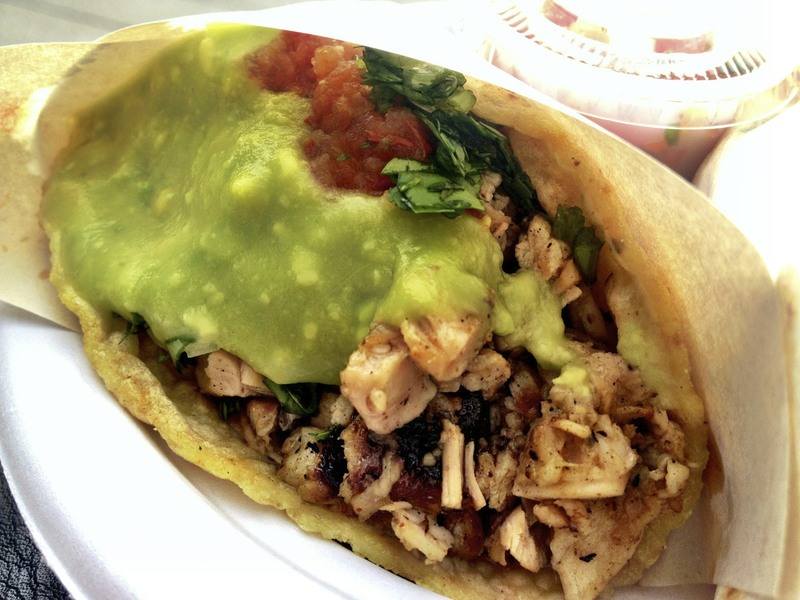 Above is the pollo asado (grilled chicken) taco with everything on it. I don’t know what that entailed but I went for it. I opted for a corn tortilla over the flour and hoped for the best. 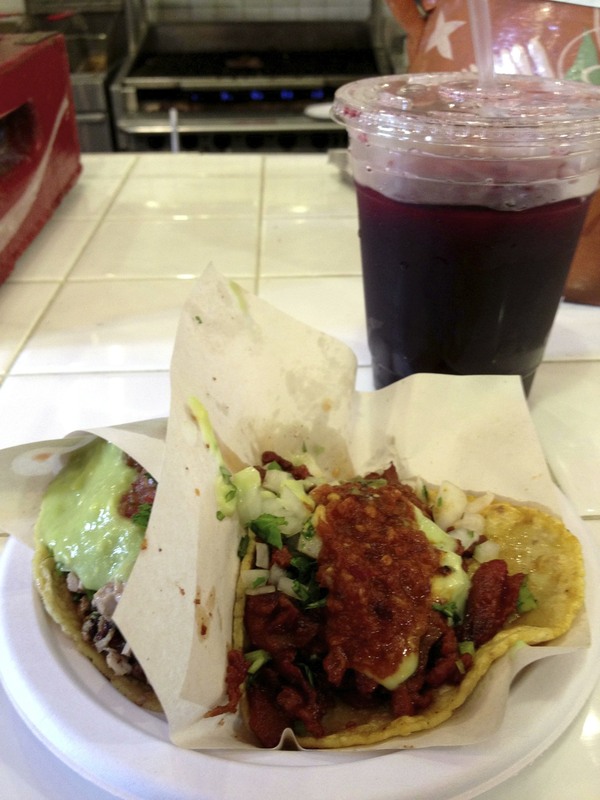 The flavors packed a punch and the taco was definitely a lot better than some I’ve had before but I wasn’t wowed. The guacamole over the top was pretty bueno though, I must admit. 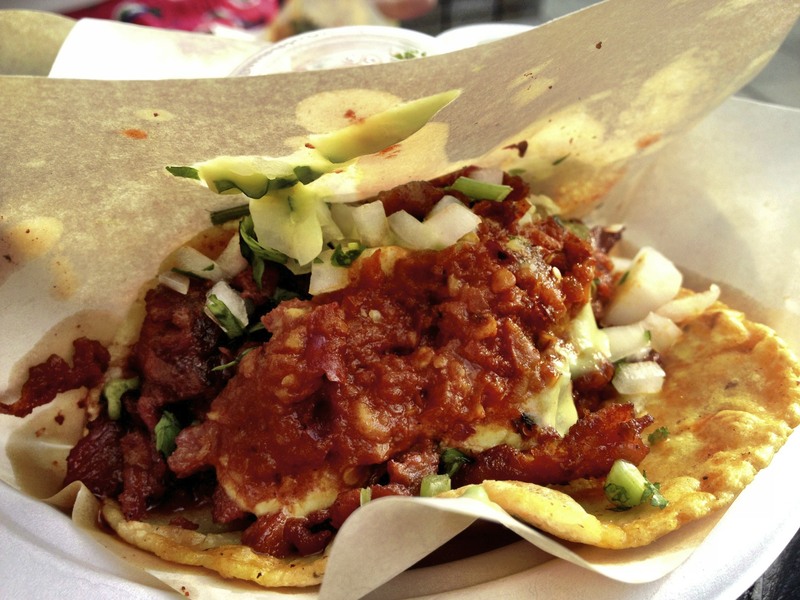 Above is the adobada taco which is marinated pork. I also got everything on this bad boy and was not complaining about it. Not only did this taco send me through pork perfection but I probably could have downed twenty of these babies. 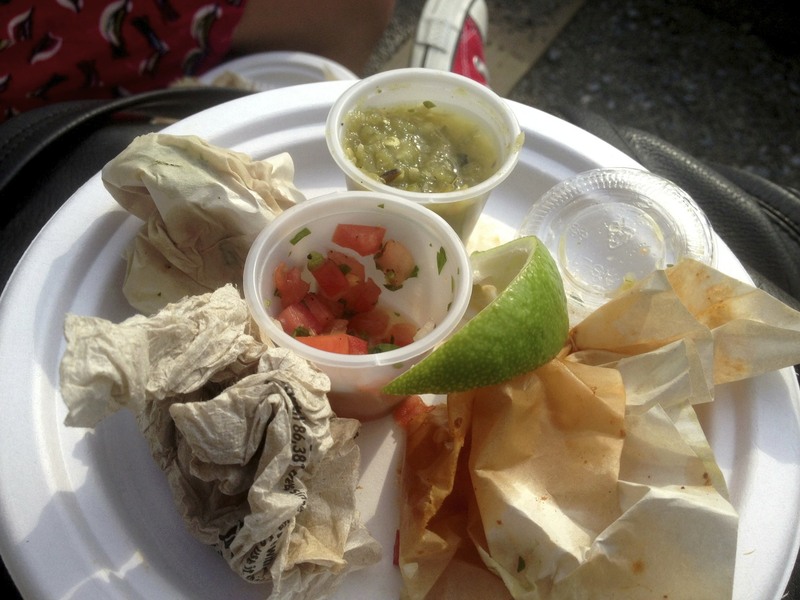 The tacos were quite filling, after two I was stuffed, but I never wanted to stop eating these things. In fact, while I was waiting in line the woman behind me was on her second time through. She had finished her tacos and wanted more just from the sheer taste of them. I should probably mention that the line for Los Tacos is also very long so waiting through it twice means it’s because the food is worth it. Needless to say I ate every last morsel. 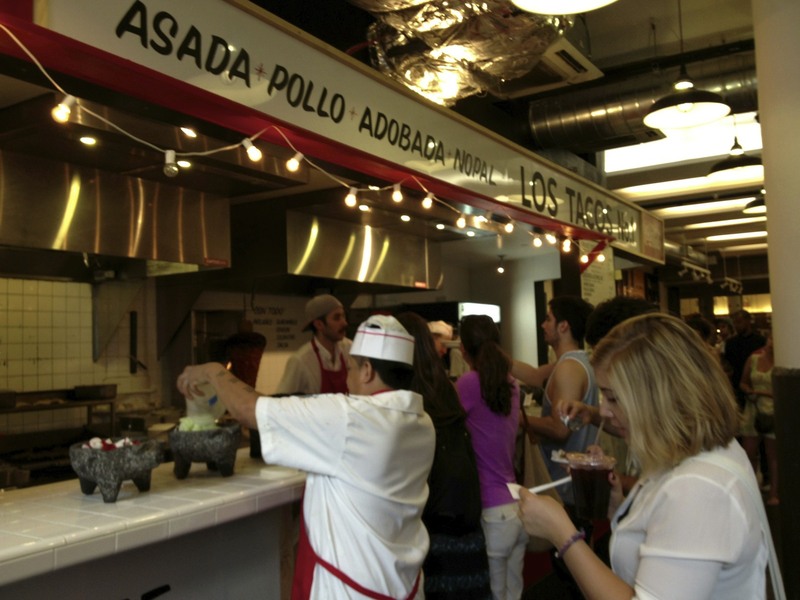 While there are plenty of places to try at Chelsea Market, Los Tacos No. 1 is certainly not a bad place to start. It surpasses all my high standards when it comes to good quality Mexican food. When one is bored in New York you need look no further then a borough or two away. Have a desire to read signs in foreign languages? Head to Chinatown. Want to be dragged into a restaurant by Italian men? Go to Little Italy. You don’t need to spend $2000 on a plane ticket when you can pay for a $2.50 train ticket to the closest neighborhood filled with shopping and food of not so distant lands. Sunday, I boarded the L train to Brooklyn and walked up Driggs Avenue to Selamat Pagi, a restaurant that serves inspired dishes from Bali. I’m going to be honest and say I don’t think anything can quite compare to the experience I had at Selamat Pagi. If you are ever in New York, I will be personally insulted if you do not seek out this restaurant and try their food. It is a New York must. The food tasted fresh, the parsley was picked from the garden, the decor is simple and beautiful and the use of ingredients are implemented in ways that are so revolutionary that my mind was blown, stomped on, rejuvenated and then shattered into a million pieces. Twice. It was hard to decide what I truly wanted on the menu after glancing over it and seeing so many delightful options. Then, to make matters even worse — or should I say “better” — the waiter told us the special which incorporated sweet potatoes, red potatoes, chicken, curry and so much more. Without much thought, my friend across the table said, “We’ll take the special and banana pancakes.” It could not have been a better choice. My friend Emily, a gift from God. 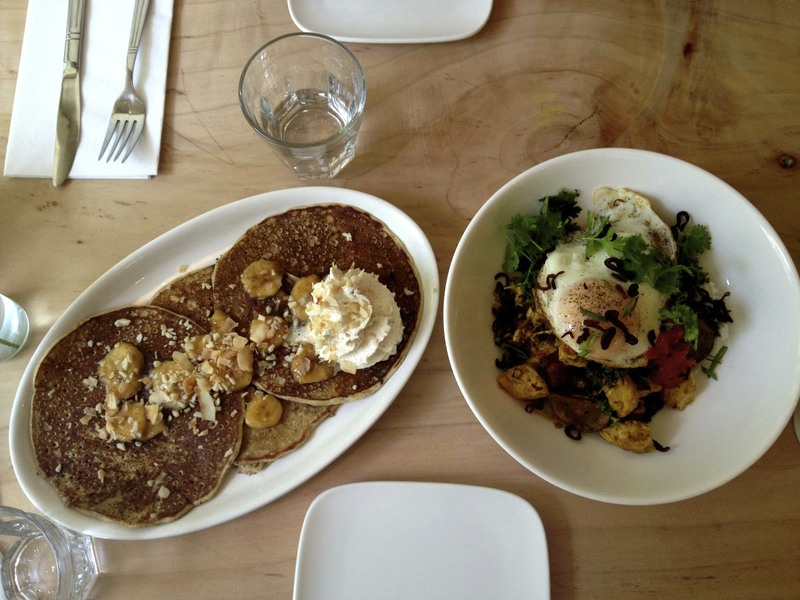 These are what we ordered; the banana pancakes and the special. Above you will see the two masterpieces that we ordered. 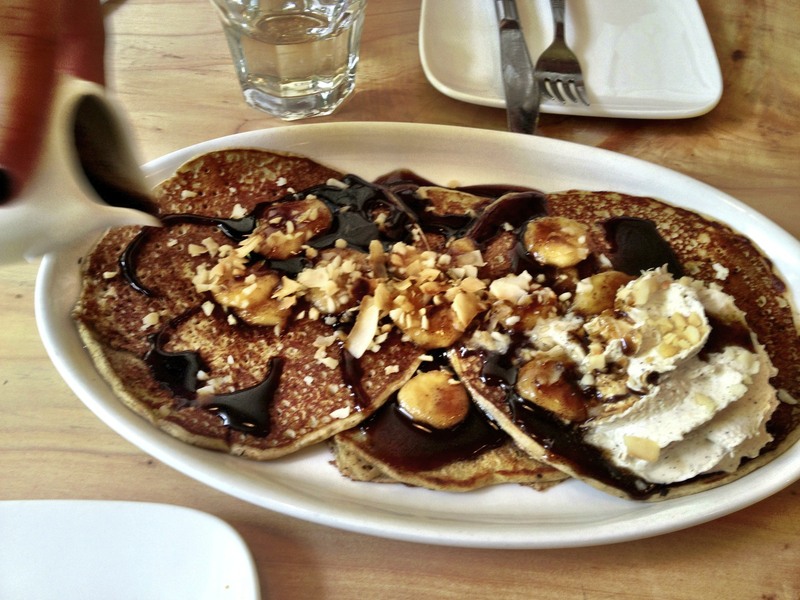 The pancakes were thin and layered with caramelized bananas, macadamia nuts, coconut a homemade whip cream with real vanilla bean and a side of the greatest thing I’ve ever eaten: palm sugar syrup. 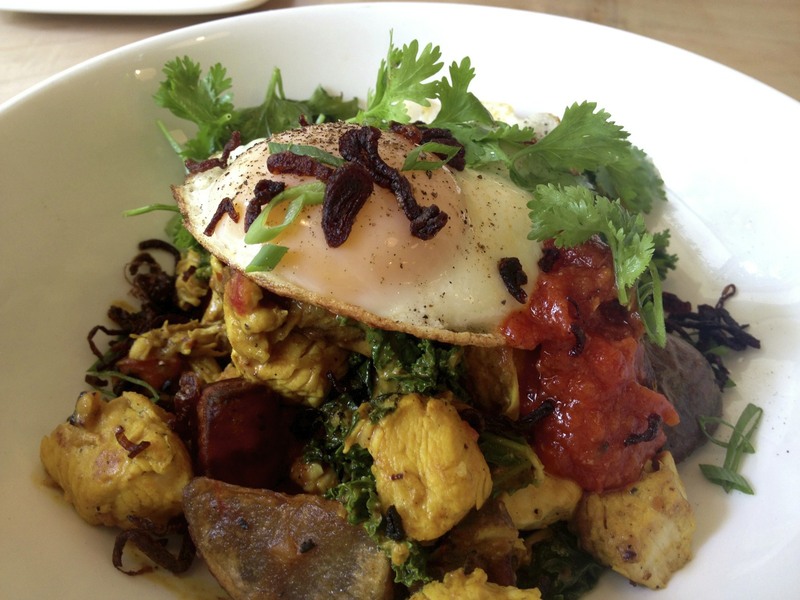 The dish on the right is the special with curried potatoes, vegetables, chicken topped with an over-easy egg, parsley and chopped green onion. The runny egg yolk was on point. If all Balinese food is this good I may move. 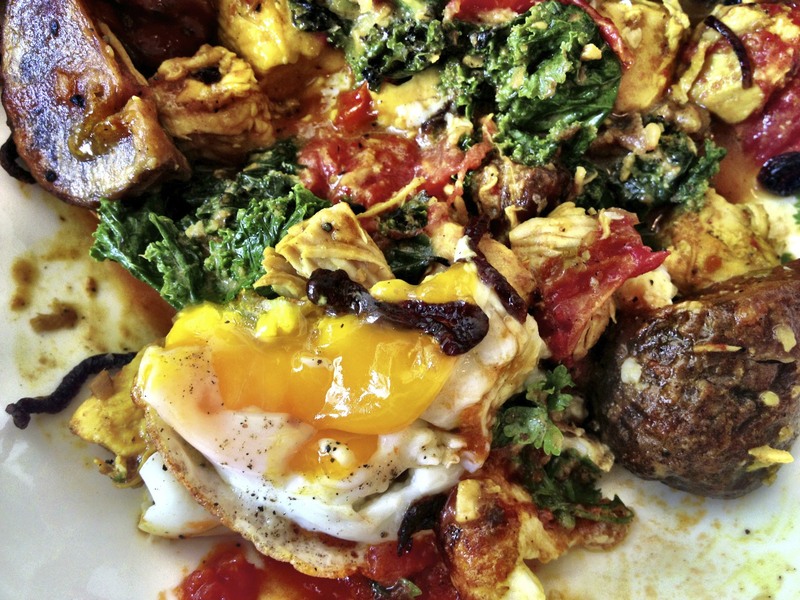 The special only got better once that egg yolk was let loose. Once the palm sugar syrup was poured my tastebuds were sent on a ride into ecstasy. If these photos do not convince you of the height in caliber of this meal then I don’t know what will. Again, I must stress how important it is for people to come here if they ever visit New York…. It’s the best.